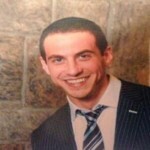 The family of a 31-year-old man, who has been missing since Motzai Shabbos, is requesting the public’s help in locating him. 31-year-old Aharon Okunov was last seen on Motzai Shabbos at 4:00am in Crown Heights and his family fears for his well-being. Aharon suffers from an illnesses that may lead to unpredictable behavior. 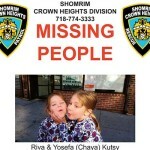 Crown Heights Shomrim has also joined in the search and have been coordinating a local area search since Monday. If you have seen him since Motzai Shabbos or know his current whereabouts please contact Shomrim right away at 718-774-3333 and 911 or the 71st Precinct Detectives at 718-735-0501. UPDATE 4:34pm: The family is reporting that Aharon had been found. the last time we approached the NYPD when a 12 year old was assaulted the NYPD as usual was useless why would these bureacrats help now?